Home Motorola Samsung Galaxy Nexus vs. Motorola Droid RAZR: which would you rather? Samsung Galaxy Nexus vs. Motorola Droid RAZR: which would you rather? 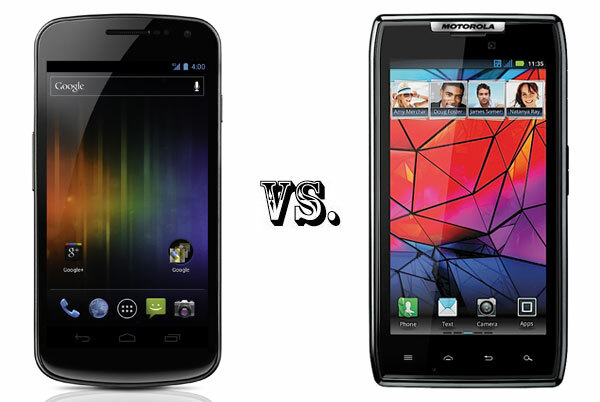 If you had to choose between the newly announced Samsung Galaxy Nexus and the newly announced Motorola Droid RAZR, which phone would you choose? I feel so bad for Motorola right now (well, not so bad, really, they’re about to be owned by Google) because the whole world probably just forgot about the Droid RAZR. The two devices aren’t that far apart. What really differentiates them is the OS. The Galaxy Nexus will run Android 4.0 and the Droid RAZR will run Android 2.3. The difference is huge, especially after you check out all the new features in Ice Cream Sandwich. Check out the chart below, courtesy of Engadget and let us know which of the two phones is going to be your next phone.